Guitar Camps Master Madagascar. The signature series from Hermanos Camps represent the top of the line of this manufacturer. 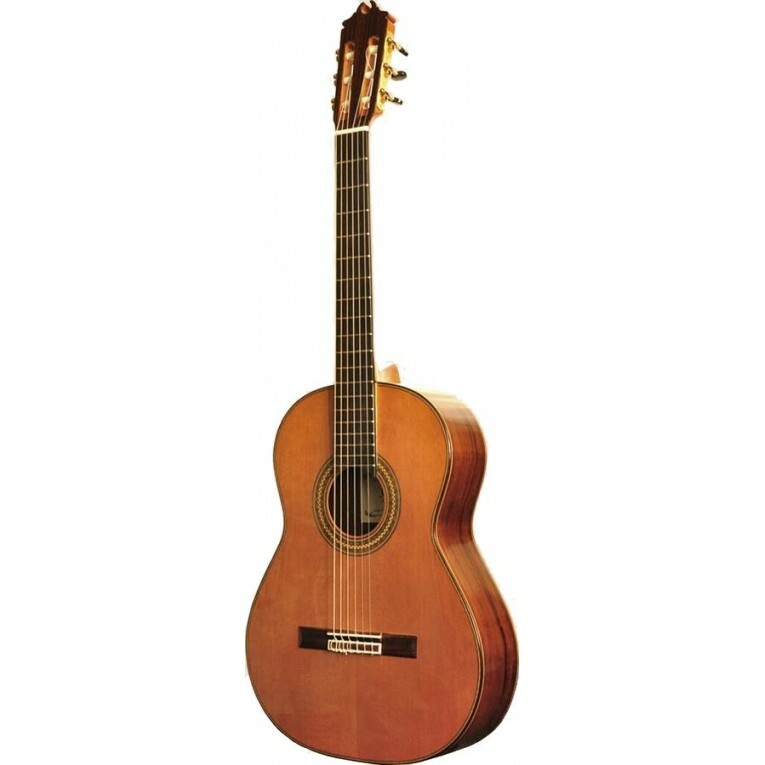 They are totally hand made guitars using the traditional method of spanish guitar making. Each piece is unique and has its own feel and particular sound. 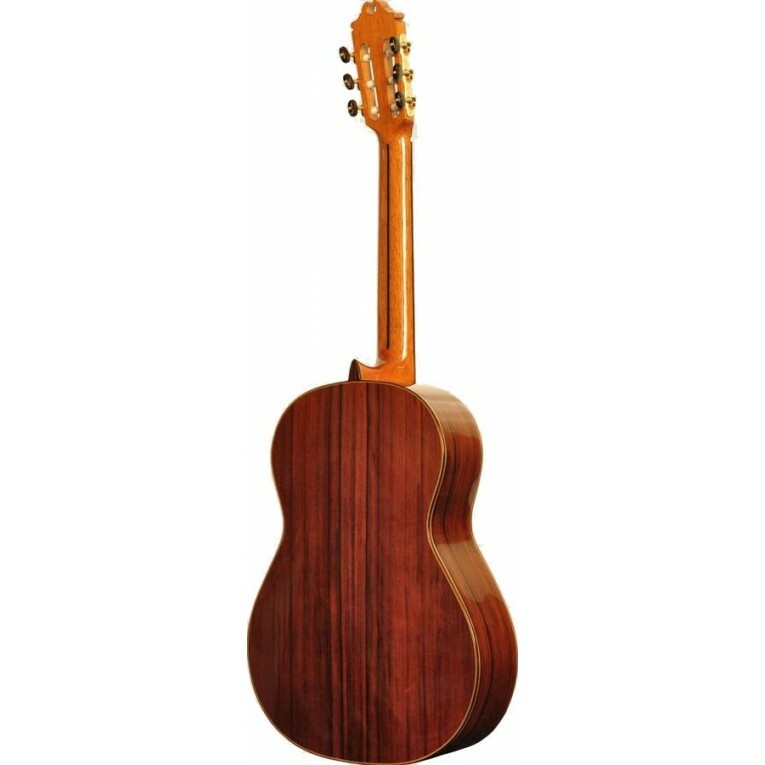 The Master from Campshas a solid spruce top, Solid madagascar rosewood back and sides and ebony fingerboard. Workmanship is to the highest standards that is appreciated through the extra detailing including intricate wood inlays in the purfling and rosette. The sound is penetrating and has exceptional sustain. 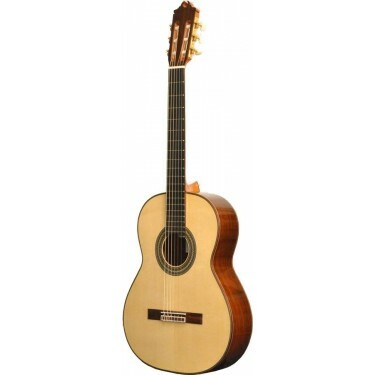 Impressive guitar that has great comfort and wonderful playability. 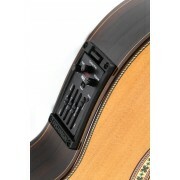 The neck includes a carbon truss rod reinforcement to avoid bending problems. Case included.